The vivofit jr fitness bands have been fun and handy devices for parents and kids since they first released. 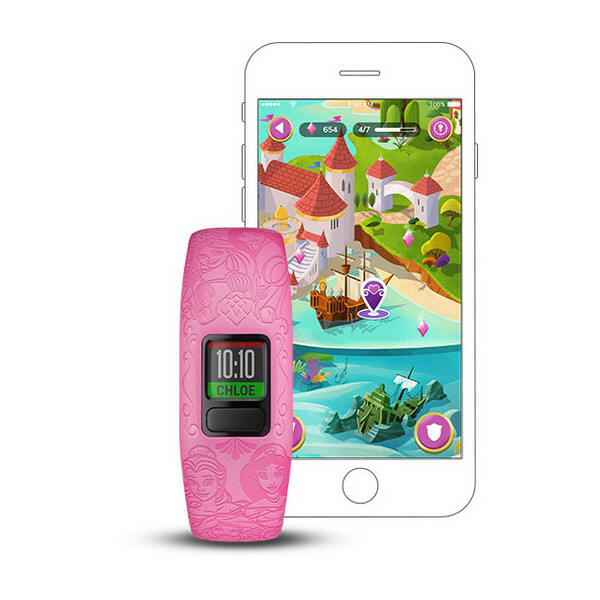 The vivofit jr 2 stepped it up a notch for kids with themed bands around their favourite digital heroes and worked to encourage kids to get active. Each theme Disney, Star Wars and Marvel have their own story adventures that kids can unlock with 60 minutes of activity. This story is played out on the app which parents can enjoy with their kids. 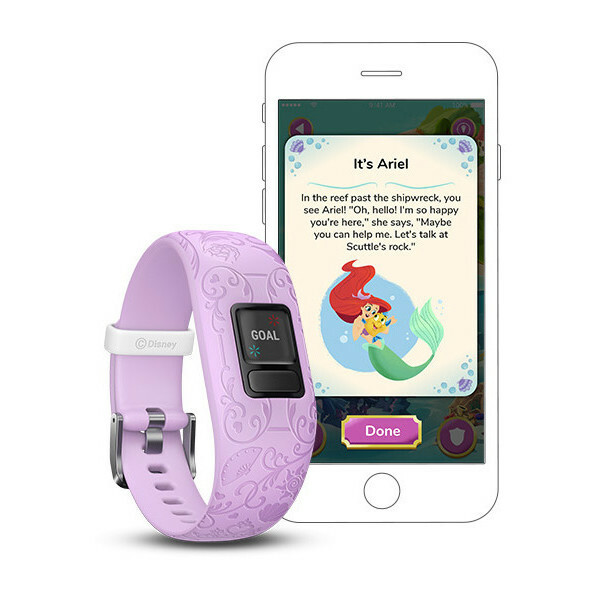 The new vivofit Jr 2 (Disney Princess) offers two new band designs, a new story adventure and new tap puzzle challenge games. This story adventure follows the Disney princesses Ariel, Belle, Jasmine, Mulan and Rapunzel. Both versions of these bands are expected to arrive in stores early next week (27/08). 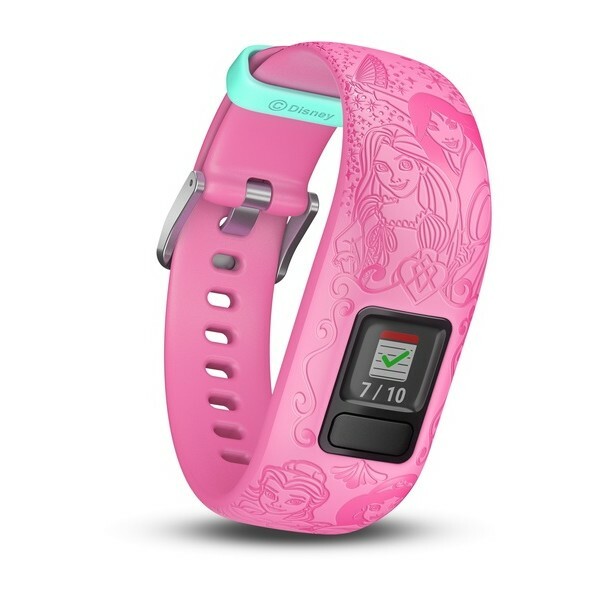 The price will be the same as the other vivofit jr 2 bands $129 AUD. Also as a note, these bands will not have a flexible band option. The replacement bands are due in to arrive in Australia in the 3rd Quarter and will be available for the same price as the original replacement bands $45 AUD. What can it do besides counting steps? Parents can access the chore management and reward system via the app. The fitness bands can also be used to reward kids for doing chores and even helps them keep track with a virtual piggybank. 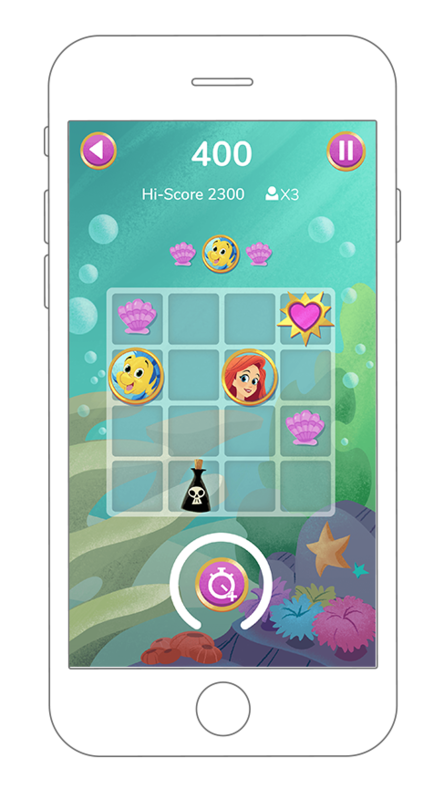 Tap Puzzle Challenge Games – This is a new addition and like the story encourages the kids to meet their daily active minute targets. This part of the app lets them unlock their own ‘Disney Kingdom’ as they progress.